Tooth Decay Stages: What's Happening Inside Your Teeth? 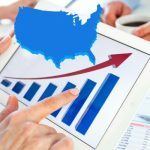 Home / Dental Health / Tooth Decay Stages: What’s Happening Inside Your Teeth? Tooth Decay Stages: What’s Happening Inside Your Teeth? In an ideal world, we would all be taking excellent care of our teeth. We’d visit the dentist every six months, keeping reminders on our calendar so we’re sure to make time for the appointments. We’d all have immaculate, efficient, and thorough tooth cleaning routines, and we’d refrain from eating sugary foods and starches—we’d even avoid fruit juices, sorbets, and desserts. We wouldn’t need to talk about tooth decay because it would be a thing of the past. But, the reality is that tooth decay is becoming increasingly common in people of all ages. We’re consuming more and more sugar each year, affecting the natural balance of bacteria in our mouths, and our oral hygiene and health may be suffering as a result. It can be hard to know when you’re slacking too much on your oral hygiene and we don’t always have all the information when it comes to taking care of tooth infections or discolored spots we find on our teeth. 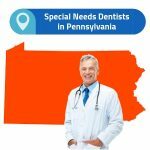 Sometimes, we know something odd is going in—we feel some pain, for instance—but we don’t quite want to commit to going to the dentist to get checked out. We assume it will soon go away. Let’s be honest—tooth care isn’t exactly on the top of our lists. We’ve all got full schedules, friends we’d rather hang out with, and family we’d rather spend time with. This is no excuse, however. Dental care should always be made a priority so that you can continue enjoying a high quality of life with those you love. 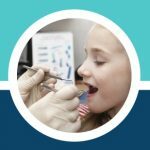 Often, people assume that dental caries, the scientific term for dental decay and cavities is something only children get, but this is definitely not true. Adults get them as well, especially as we grow older and our gums begin to separate from our teeth. Cavities are all too often a part of the aging process. Regular checkups are great for people of all ages from age one to 91 so that any issues can be caught before they progress. It’s important to understand what can happen if you don’t care for your teeth properly so that you can recognize the signs which would indicate that you should check in with a dentist. And, it’s a lot less expensive if you’re able to catch a cavity early, as the treatments are far less evolved. There are five different stages of tooth decay and the progression of a cavity can be a gradual one. The decay is typified as being one that progresses slowly and steadily, giving few signs of its presence. The first, white spots, start with white areas appear on your teeth. These are a result of plaque accumulation and calcium depletion. Then, when bacteria from the plaque feed on the sugars you’re taking in, they produce acids that eat away at the tooth’s surface. Other things you might notice are slightly loose teeth, spaces between your front teeth, bad breath (which is also known as halitosis), bone loss (or lower levels of bone near the teeth), bleeding from your gums (which many people tend to ignore), and small spaces between the gums and the teeth (bacteria love to live in these gaps). There are several options you can choose from at this stage but it’s always helpful to begin a good tooth cleaning routine in addition to any fluoride treatments. You also might check to see if your drinking water has any fluoride in it and to take supplements if not. 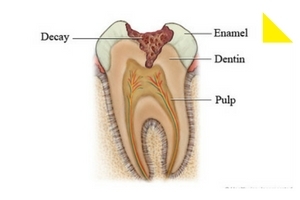 In stage two, you’ll start to see the enamel decaying, which results in a hole being created in your tooth. The more the enamel breaks down, the higher the risk that your tooth could crack, which would be permanent. In stage three, the tooth suffers from what is known as dentin decay. Dentin lies between the tooth’s enamel and its pulp, or the center of the tooth. At this third stage, the decay will begin to cause more pain, or sharper pain radiating from the tooth. The infection is causing more calcium loss and breaking down of minerals and a cavity is created. The primary option here would be to schedule an appointment to fill the gap or break in the tooth so that no more bacteria can grow there. Stage four involves the pulp. Pulp—a vital layer of the tooth—consists of tissue as well as cells called odontoblasts, which make dentin. Dentin lies between the enamel and the pulp. As the pulp becomes infected, bacteria tend to accumulate and to create pus that causes the tooth’s nerves and blood vessels to die off. At this stage, you’re likely to be having a severe toothache and to be suffering from consistent pain. It’s not a great experience. The treatment most often administered at this point is a root canal. 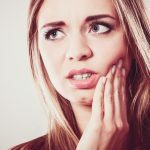 The final stage occurs when the tooth’s infection has arrived at the end of the root, infecting the tissue nearby, causing significant pain as well as some swelling. A root canal or tooth extraction would likely be required at this point. The main point to take away with tooth decay is to be vigilant and to schedule regular dentist appointments so that you can catch any issues early on when they’re simpler and cheaper to resolve. Every six months is often what dentists recommend. Regular checkups ensure that all is going well, there’s no plaque buildup, and your brushing and flossing routine is at least adequate. By having a regimen that fits well with your schedule and is easy to follow, you’ll be doing your teeth a big favor, as preventative measures are key to keeping tooth decay at bay. Often, you won’t lose a tooth from tooth decay. Nearly 70% of teeth adults had removed was because of gum disease rather than tooth decay. By listening to your dentist’s advice, many patients find it useful to bring a notebook or to take notes on their cell phones during their appointments so that they don’t forget anything—you’ll be able to make the best use of your time and money. Many patients find that they enjoy learning more about their teeth and their brushing routines. 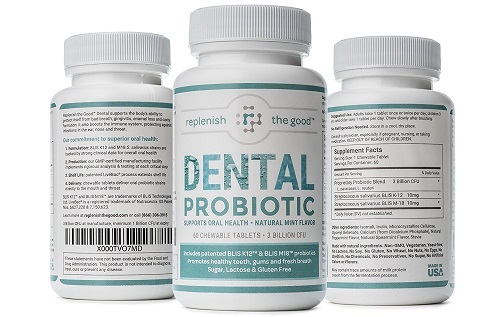 Dental probiotics can be helpful for some or night repair toothpastes that help heal your teeth while you’re asleep.